By David Undercoffler . Published on February 03, 2016. Toyota is pulling the plug on Scion, the funky upstart brand it launched in 2002 to appeal to the finicky younger buyers it was struggling to connect with on its own. The reason, according to Toyota: It's no longer struggling to connect with those buyers. The end will come quickly -- and just months after the launch of two vehicles that were seen as critical to reviving the brand. Scion will be discontinued in August, the automaker said today, and its model lineup will be folded into the Toyota brand starting with the 2017 model year. But Toyota will not immediately change its relationship with Droga5, which began working for Scion early last year. And ads for Scion will continue running, at least for now, according to a Scion spokeswoman. "We still have many Scions to sell, so we will continue our marketing for the time being. We'll make decisions on other marketing plans and partners at a later time, " she said. Droga5's campaign, called "Weird, Right?" 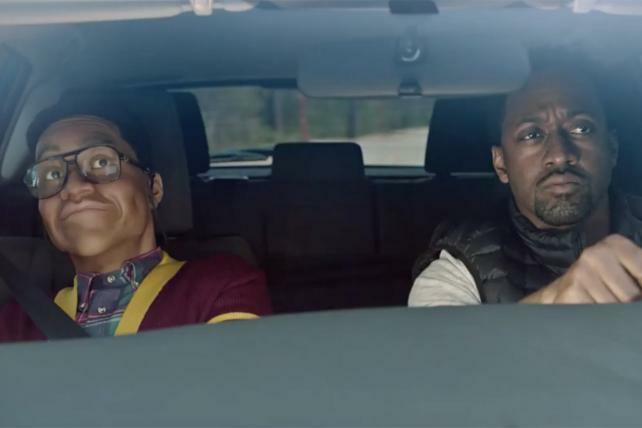 launched in September and included quirky ads starring the likes of James Franco, Jaleel White (Urkel from "Family Matters") and a hipster vampire. Droga5 also worked on the launch campaign for the Toyota Mirai fuel cell vehicle. Scion, which sold more than a million small cars over 13 years, was an early hit with young buyers who perceived Toyota's offerings as reliable but utilitarian cars for their parents' generation. From its inception, the brand served as a laboratory for offbeat vehicle, marketing and retail experiments. But in the aftermath of the global recession and Toyota's unintended-acceleration crisis, investment in the brand dried up and its product lineup thinned. Moreover, Toyota says, young people are different today and are less likely to try to stand apart from their parents. As a result, the parent brand now commands more respect among today's younger customers than Scion does. "Youth buyers are in a completely different position than they were 13 years ago," Bob Carter, senior VP-operations for Toyota Motor Sales told Ad Age sibling publication Automotive News. "That's really what's driving this decision." The decision to shutter it may cast it as a historical failure, but Toyota will likely walk away vindicated in its efforts to strengthen its own image among younger shoppers. "I think when you have to unwind a brand and tell dealers it's over, I don't know how on some level you can't say that's a failure," said Karl Brauer, senior analyst for Kelley Blue Book. "But I think it'd be more accurate to call it a learning experience or an experiment that they learned from but in the end proved unsuccessful." Toyota is hoping the transition will be as seamless as it will be quick. The current Scion iA, iM and FR-S cars will be badged as Toyotas for the 2017 model year when they arrive in dealerships this August. The tC coupe was already in line to be discontinued after the 2016 model year. The Scion CH-R concept that debuted at the 2015 Los Angeles Auto Show will be sold as a Toyota when it hits the U.S. market in 2017. That model was already planned as a Toyota for the rest of the world, and the production version of the subcompact crossover will make its global debut at the Geneva Motor Show in March. All warranty, financing and service elements will continue to be handled by Toyota, the automaker said. Scion's 1,004 dealerships -- all of which are within existing Toyota stores -- will continue to sell the vehicles as they have done in the past. Toyota said it would be contacting dealers today to notify them of its decision. "There's absolutely no change to the consumer. Everything remains the same," said Mr. Carter. "We're simply changing the brand and the logos." The move also doesn't change Scion's relationship with its manufacturing partners, Mazda and Subaru. And no Toyota brand products will be cut either, the automaker said. Last year, Toyota used Scion and its younger target market to test out an online transaction program called Pure Process Plus. The Scion setup let users go online; spec out a Scion vehicle; search local dealerships for a match; get price info, including taxes and fees; calculate monthly payments; get an estimate on a trade-in; and apply for and get approved for credit with a certificate to take to the dealership. Toyota has since said it plans to roll the program out for Toyota dealers as well. The Scion brand emerged in 2002, with a decidedly countercultural image compared with the more staid Toyota. The first cars -- the boxy xB and the compact xA -- arrived a year later in New York and California, with early marketing directed at nightclubs and other youth hangouts rather than mainstream outlets like television. The brand went nationwide in 2004 and added the tC coupe. Sales peaked in 2006 at 173,034 units. But the combination of the Great Recession and Toyota's unintended acceleration crisis steered Toyota's attention -- and money -- elsewhere; investment in Scion's product range suffered. By 2010, a time of pronounced economic uncertainty among Scion's young target customers, sales had bottomed out at 45,678 (equal to about two months of Camry sales that year). The addition of specialty cars -- the FR-S coupe co-developed with Subaru and the bite-size iQ microcar -- gave Scion new life two years later. But with dealers still grumbling, Toyota Motor Corp. President Akio Toyoda urged them to stick with the brand. The catch: They'd have to wait a couple years for new product because Toyota's resources were limited and the company needed to "prioritize," Toyoda said in a November 2013 interview with Automotive News. That new product finally arrived in 2015 with the launch of the iA subcompact sedan built by Mazda and the iM five-door hatchback, along with an oddball TV ad campaign that became a viral hit online. Last year's sales hit 56,167 -- but remained less than a third of their peak. Soon after the new vehicles hit the market last year, Toyota in September named a new brand chief for Scion, Andrew Gilleland, who had helped work with dealers to get the brand off the ground in 2003 and later went to Lexus. He replaced Doug Murtha, who took a corporate strategy position at Toyota North America. Previous leaders of the brand included Mark Templin, who is now global head of Lexus, and Jim Farley, who helped launch the Scion brand and later left Toyota for Ford, where he now heads European operations. But it wasn't Scion's slow volume that doomed the brand, Toyota said. Rather it was the question of whether it still had a reason to exist. Whereas Generation Xers wouldn't be caught dead in the same brand their parents and grandparents lauded in 2003, millennials have a much more favorable view of Toyota. That left many buyers with the view that Scion was a lesser brand than Toyota, Mr. Carter conceded. After all, nearly all Scion models sold for less than $22,000 and with limited trim packages and options. "I think this really speaks to the difficulty of selling what I, and a certain amount of people, felt was a lesser Toyota," Mr. Brauer said. "That's what it always was to me, a lesser Toyota." Toyota -- having regained its global dominance and begun a broad reorganization of its North American operations -- decided to move quickly to seize what it saw as an opportunity. "Without a doubt, volume creates awareness," Mr. Carter said. "And there's a much higher awareness of Toyota than there is of Scion today. And with that level of awareness, Toyota being an aspirational brand, now is the right time to make this move." Toyota will be notifying dealers throughout the day of its decision, Mr. Carter said. The automaker has already told both the Scion and the Toyota dealer councils, both of which supported Toyota's decision, Mr. Carter said. "They understand what's happening on their showroom floors," Carter said. "This just validated it." David Undercoffler is a reporter for Ad Age sibling publication Automotive News. Ad Age reporter E.J. Schultz contributed to this story.